Bukiet kwiatów z dostawą do Finlandii wprost do rąk Twoich przyjaciół lub członków rodziny. 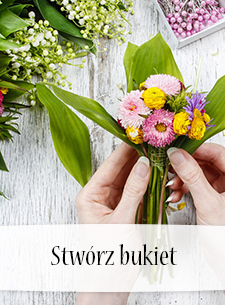 Zamów bukiet z oferty zagranicznej i wyślij za pośrednictwem Poczty Kwiatowej®. 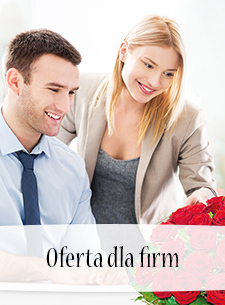 A bouquet in red tones with roses, gerberas and carnations. 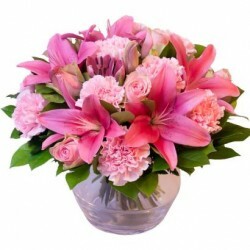 A wonderful bouquet in pink shades. 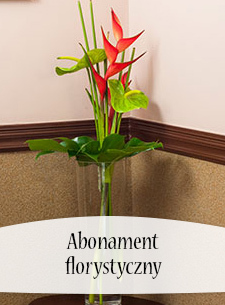 Flowers and colors varies depending of the season and store's selection. Please mention the color wish in the order. 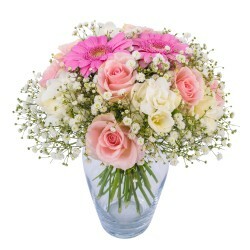 Beautiful round bouquet of pink roses, pink germinis, baby's breath and white freesias. A wonderful, red round bouquet! 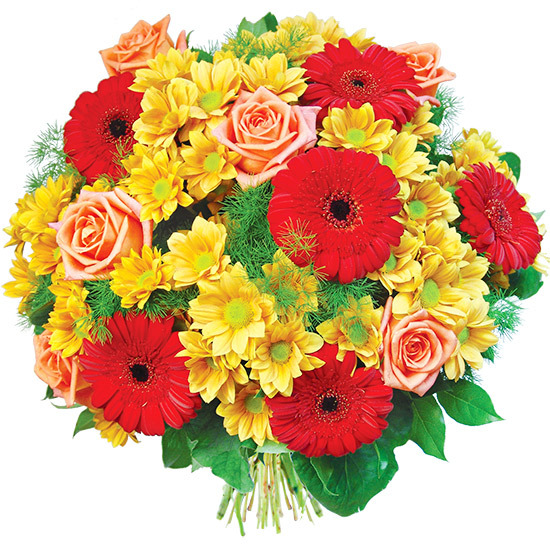 The bouquet contains roses, carnations, gerberas and hypericum. Black chocolate box 100g. 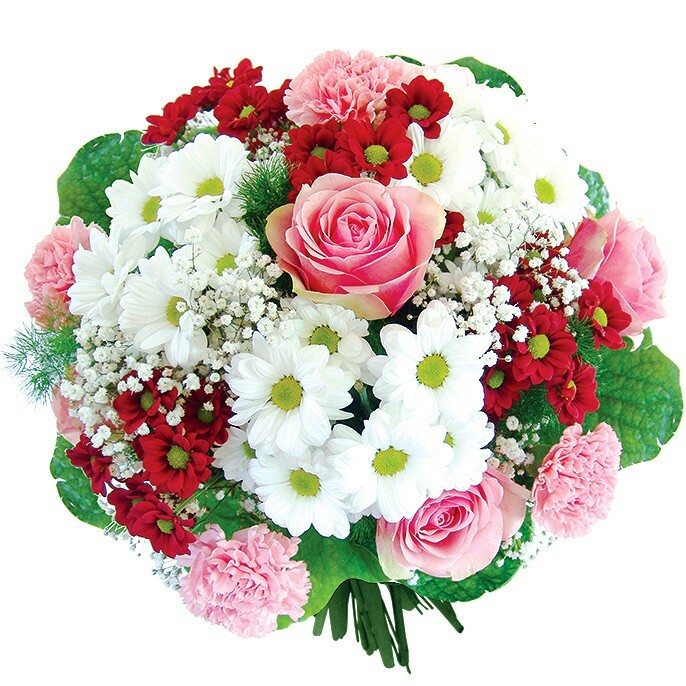 A wonderful, pink round bouquet! 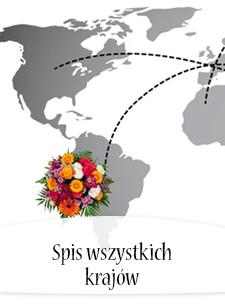 The bouquet contains roses, carnations and gerberas. A fine assortment of chocolates in a red heart shaped metal box. 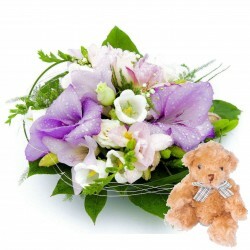 Cute arrangement + tebby bear. Do not forget to mention if the baby is a boy or girl. 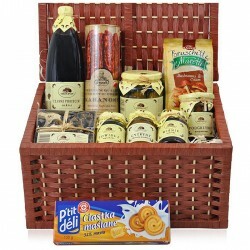 A nice gift that is suitable for all occasions, for example as a homecoming gift or for a great achievement. 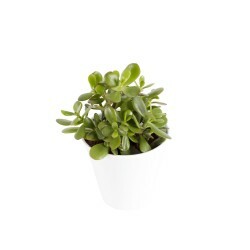 The jade plant is said to have a connection to achieving wealth and fengshui. Outer pot not included. 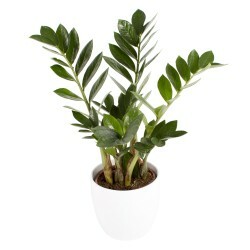 Zamioculcas plant. Outer pot not included. 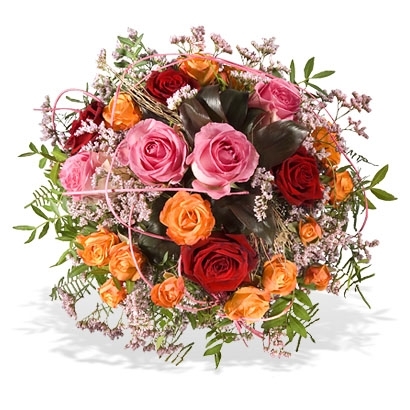 This empowering bouquet has the glow of spring and asks you to join the dance. Vase not included. 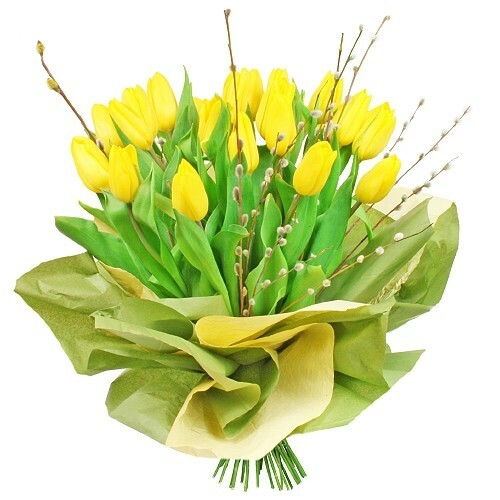 Gorgeous big bouquet in yellow-green colors. Vase not included. 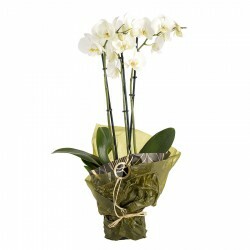 An elegant low bouquet for sympathy in light colors. 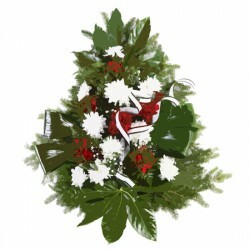 Conveys your warm thoughts to the recipient. Vase not included. 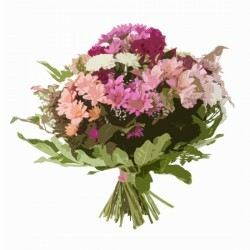 Dreamy bouquet in pretty pastel colors. 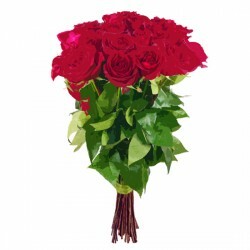 When you want to congratulate or thank your loved ones impressively and unforgettably, this luxury bouquet is a right choice for this. Vase not included. 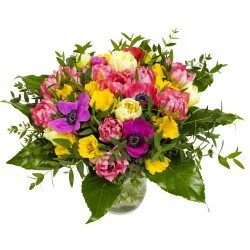 A lovely, multi-colored spring bouquet. 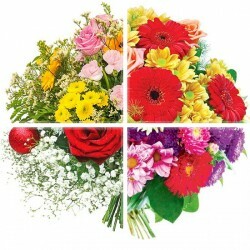 Florist's choice bouquet. Vase not included. 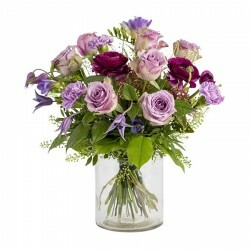 Magical and gorgeous bouquet in lilac shades. Vase not included. 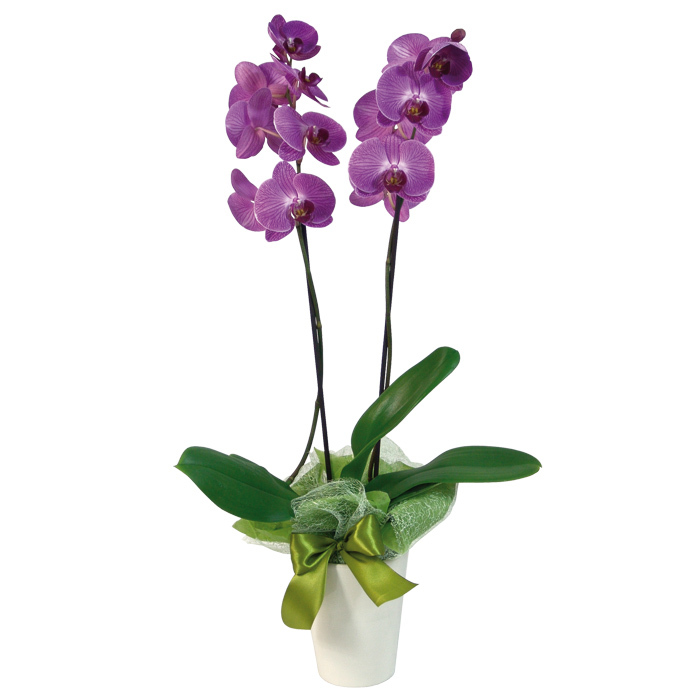 Phalaenopsis -orchid. If you want another color than white, please mention it in your order. The selection may vary depending on the store's selection. Outer pot not included. 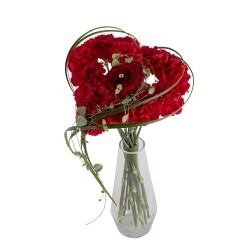 Heart-shaped high bouquet in red colors, carnations, a rose and greenery. Vase not included.